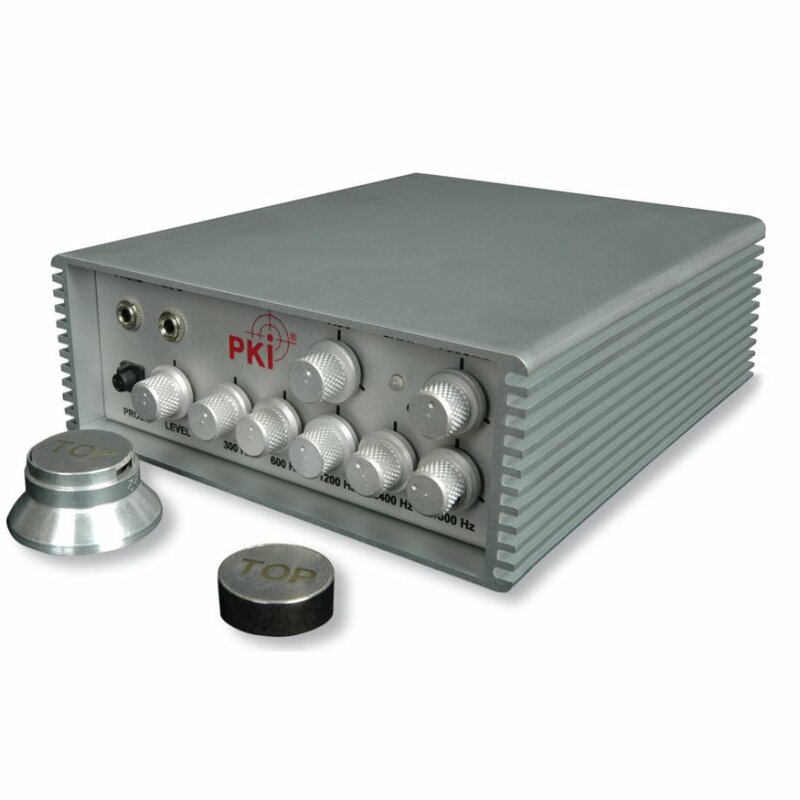 The PKI 2900 has been developed for covert surveillance purposes or general security installations. The excellent noise performance combined with high gain capability and automatic compressor makes the unit suitable for a wide range of applications and operating environments. The low power consumption facilitates unattended operation. Each Kit is supplied with a low-noise microphone amplifier, compatible with subminiature microphones, a 5 band graphic equaliser (all in one portable housing) and 2 different stethoscopes (each one for wall and window mounting). Output-sockets for headphones or speakers as well as recorders are provided at the receiving unit.